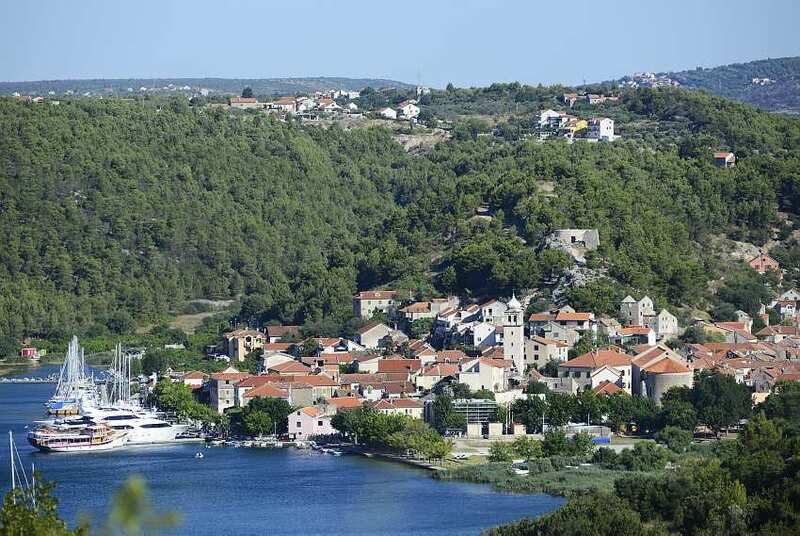 The town of Skradin is 6000 years old. Well, it changed its name during the history, but one will say that its inhabitants have never changed their mentality. Proud and determined to live in such a beautiful setting, they have stayed on the banks of Krka river for centuries, enjoying their mystical surroundings. Here are five reasons to visit this lovely Dalmatian town. A locality of fascinating attractiveness, Bribirska Glavica can be found 15 kilometers away from Skradin’s center. It is an archeological dig of an archaic Roman settlement, with over 70 000 square meters in size. Literally being a Croatian Troy, this destination will introduce you to old sarcophaguses, ramparts, exhibited tools and works of fine art. As you walk through the remote alleyways of Bribirska Glavica, you’ll literally hear history whispering in the wind, telling the tales of people and events long gone. 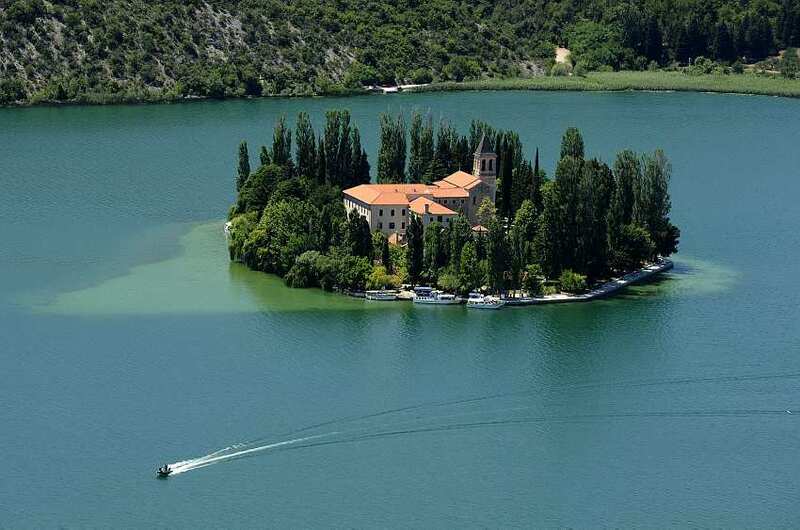 A small island of Visovac is lovated in the middle of Krka National Park. It is an inlet featuring an old Church, dating from 17th century, and a Franciscan monastery. It is a site of immense beauty and spirituality, where every visitor feels privileged and fulfilled. Guests are also available to see an old library and a gallery with numerous historical documents and exhibits of cultural value. One of the most renowned waterfalls of Croatia, Roski Slap is known for its naturally-formed cascades and water color of enchanting blue color. It was named after a fortress of Rog, which reluctantly doesn’t exist anymore, unless in centuries-old tales of the locals. An ancient state of Liburnia ruled the lands across Dalmatia, Kvarner and Istria regions. It was a powerful country which dictated much of the policies in BC era, before falling to Roman conquerors in three decades before Christ’s birth. Skradin was a capital of Liburnian state, and later the center of Roman province with the same name. It received its very own early-Christian Diocese in 4th century, meaning it retained its importance throughout the centuries. These were five reasons to visit Skradin. Have a few more to add? Do so in the comments section below, and don’t be afraid to post your own photos of the settlement on our Facebook Profile.